Leaving Monbetsu on a sticky peach of a summer’s day, I motored up the Okhotsk coast through the fishing and dairy towns of Okoppe (1980 population 6,628, estimated 2009 population 4,360, projected 2035 population 2,664) and Omu (1980 population 7,041, estimated 2009 population 4,977, projected 2035 population 3,698). 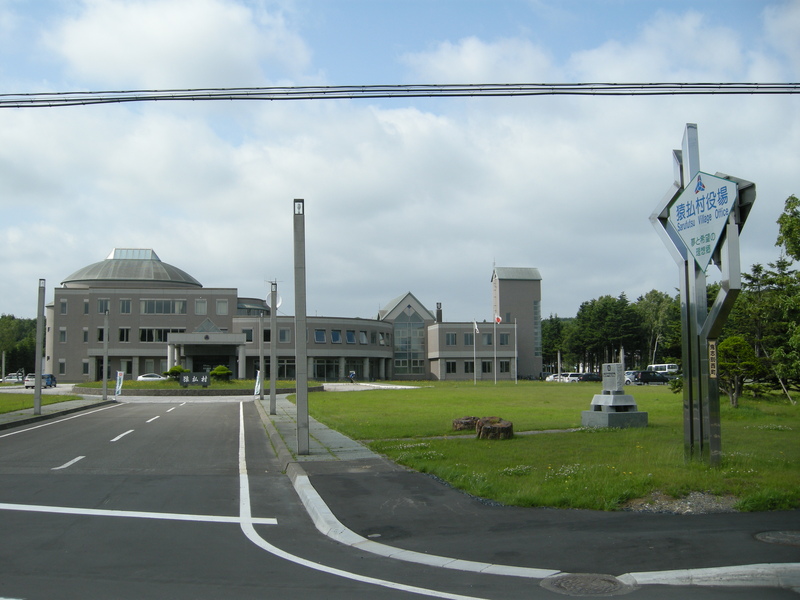 Omu had been blessed by the local construction industry with a superbly retro-futuristic “Michi no Eki” municipally run roadside rest stop. 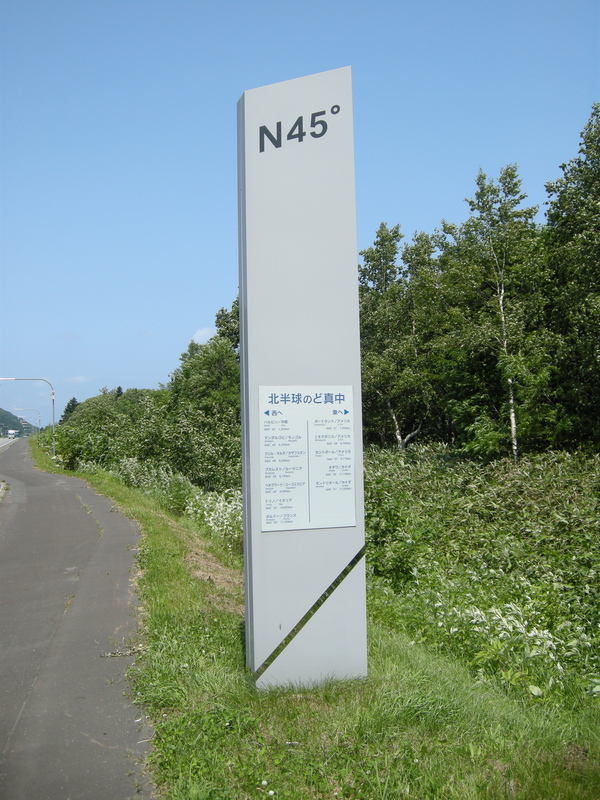 In the north of the neighboring town, Esashi (1980 population 13,633, estimated 2009 population 9,335, projected 2035 population 5,848), I crossed the 45th parallel, exactly halfway up the Northern Hemisphere. 11,250km to Bordeaux to the west, 11,250km to Montreal to the east. From a European perspective, it’s easy to forget how far south Japan lies. I felt I had to have at least one decent shot of the Okhotsk Sea, and this is it: Cape Usutaibe, just north of the Esashi town center. 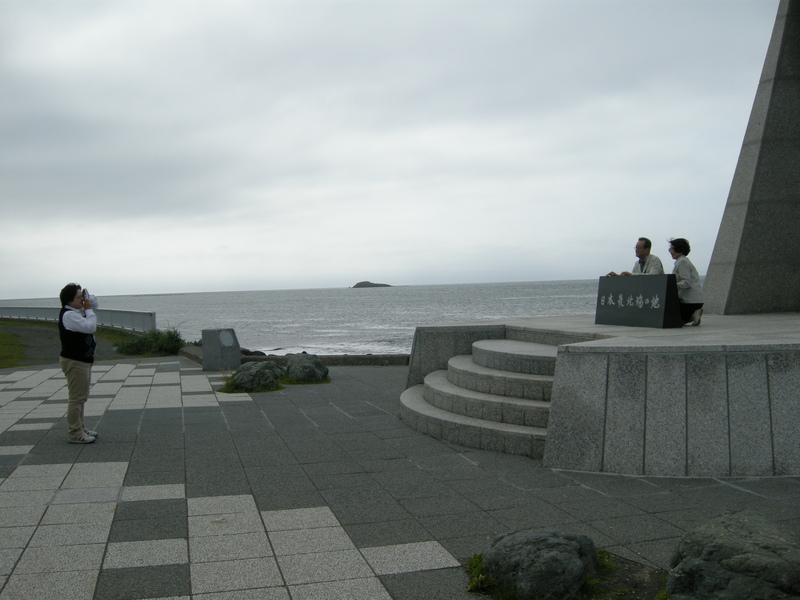 Aside from Russians, few Westerners ever clap eyes on the Okhotsk. 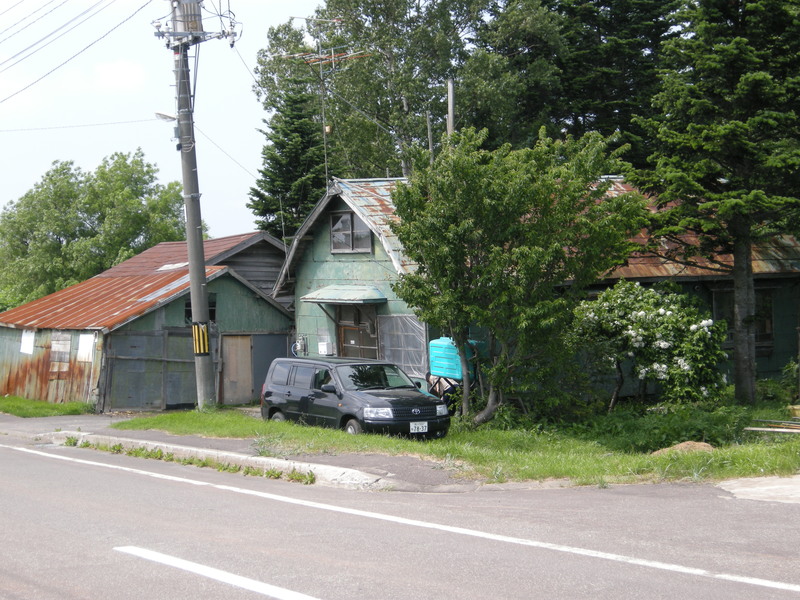 Even fewer clap eyes on Sarufutsu (1980 population 3,358, estimated 2009 population 2,818, projected 2035 population 2,169), which was my destination that morning after speeding through yet another fishing and dairy town, Hamatonbetsu (1980 population 6,503, estimated 2009 population 4,193, projected 2035 population 2,710). I had been tipped off about Sarufutsu, whose name is derived from the Ainu for “reedbed river mouth” but has assigned Chinese characters that bafflingly mean “pay the monkey”, from the bar owner Sasaki-san back in Monbetsu. I related to him my experience of a fishing village on the east coast I’d driven through where the houses were all brand-spanking new. He ascribed it to an abundance of scallops and suggested I should check out Sarufutsu, saying that the harborside houses were astonishing. The port was prim and proper: its scallop haul is apparently the largest in Japan. As Sasaki san had foretold, the fishing folk were not short of a bob or two. Three words I never thought I’d utter in conjunction sprang to mind: rural Hokkaido bling. By urban Japanese standards, these are phat pads indeed, far more modern and spacious than a company president in Tokyo could afford. 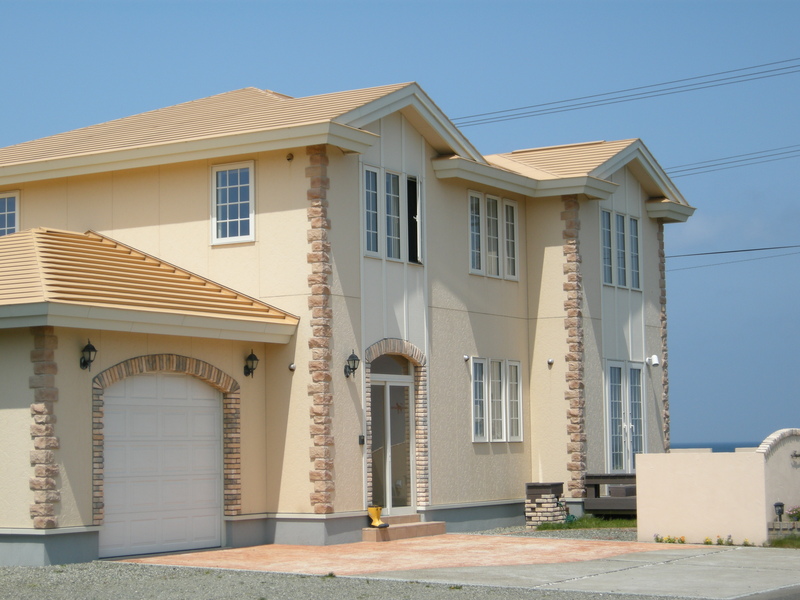 But I was still skeptical; there was only a handful of these McMansions around the port. Had the wealth spread to the hinterland? 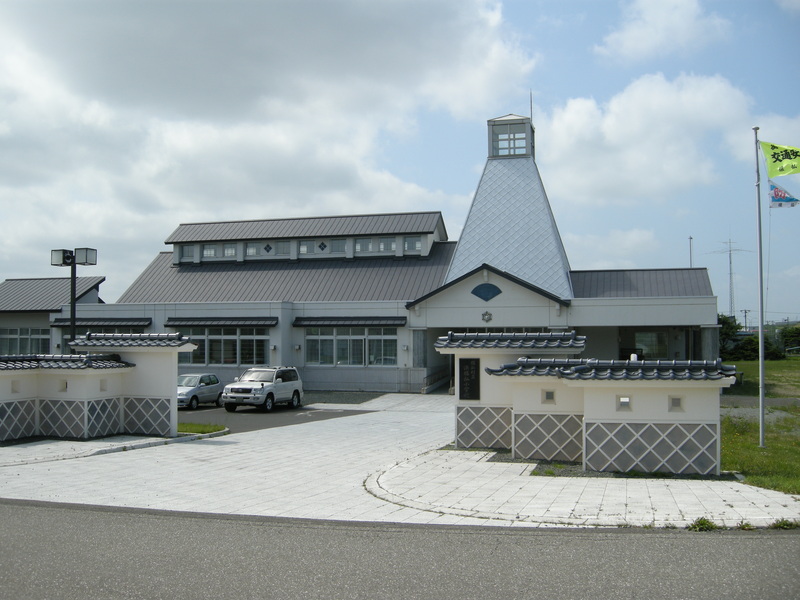 While Sarufutsu still has an astounding six elementary schools, this one didn’t make it. This one did, however. Note the principal’s late-model Land Cruiser—it must be the principal’s as it is parked closest to the entrance. Times must still be good for Hokkaido’s mid-ranking public servants. In need of lunch, I wound up at Sarufutsu’s monstrous Michi no Eki. Country music was ablare through the loudspeakers outside, pouring into the summer skies. It was George Strait. There were half a dozen coaches aligned in the parking slot, engines thrumming, disgorging oldies. The 200-seater dining room was nearly full. The menu, as you might expect, was heavy on scallops. I ordered mine seared in butter. They were, as you might expect, divine. A Michi no Eki employee was keeping one long tableful entertained with scallop patter and scallop banter. Outside George Strait wailed on. I explored a bit more. 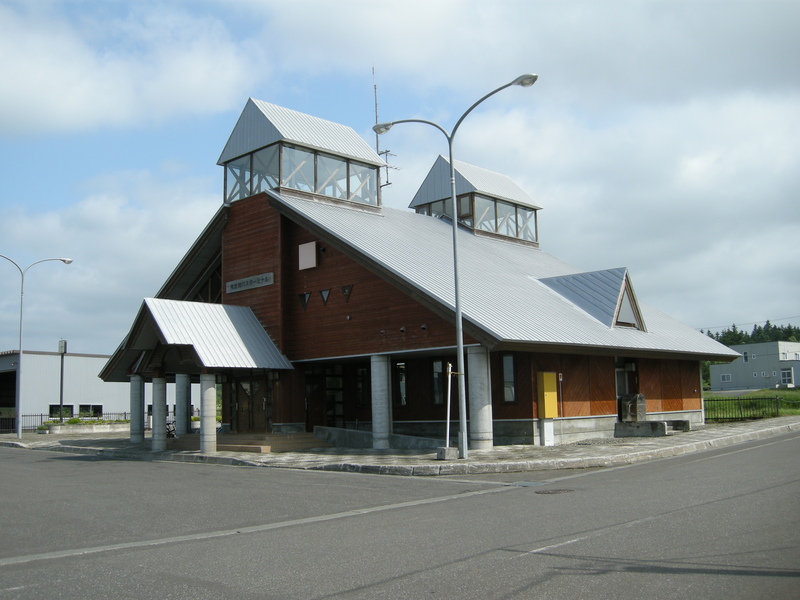 Both the Sarufutsu village office and the Sarufutsu bus terminal had me pinching myself in disbelief that there could be fewer than 3,000 souls in the village. The scallops had truly paid the monkey. From Sarufutsu I crossed over into the city of Wakkanai (1980 population 53,471, estimated 2009 population 39,294, projected 2035 population 26,656), at the very apex of Hokkaido, and made my way along a coast that grew bleaker with every passing mile toward Cape Soya, the northernmost point in Japan. Or is it?!? Cape Kamoiwakka, the northern tip of Russian-held Etorofu, is at 45°33′ N, just edging out Cape Soya at 45°31′ N.
And wait a minute! 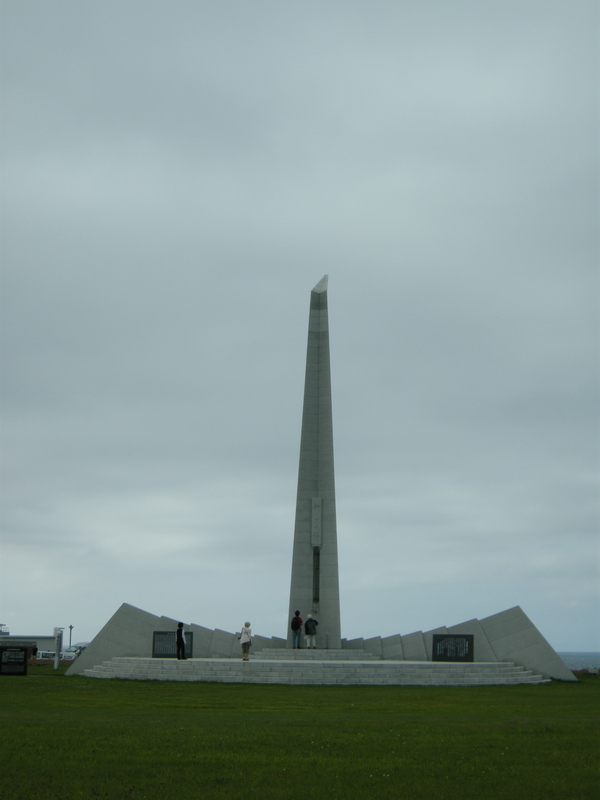 What was that islet lurking in the background behind the triangulation monument that proclaims Cape Soya to be Japan’s northernmost point? The rocky outcrop is called Bentenjima, and at 45°31’25″ N, it is three seconds north of Cape Soya, at 45°31’22″ N.
Delighted just to have reached Cape Soya, 3,437km after setting off, I had to have a commemorative snap of my trusty partner on the journey. We made it, baby! 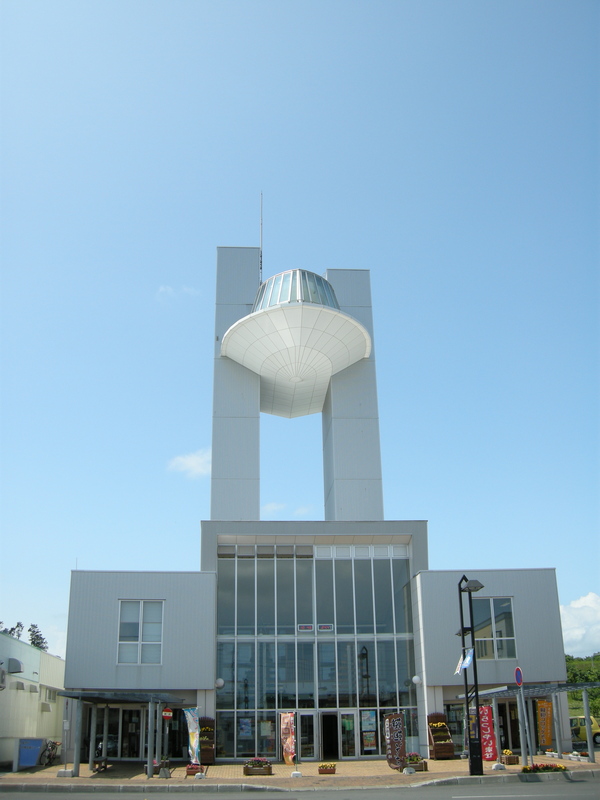 The statue above the windshield is of explorer and spy Rinzo Mamiya (1780-1844). His presence here is a not-so-subtle dig at the Russians, as he explored Sakhalin extensively in the early 19th century, making it as far as the mouth of the Amur, is considered to be the first person to have proved that Sakhalin was an island, and was also embroiled in several clashes with the Russians both on Sakhalin and the Kurils. On the hill above the cape, there was room for one more dig at the Russians, this time in their Soviet incarnation: a memorial to the downing of KAL007. Korean Airlines flight KAL007 from New York to Seoul via Anchorage, which had strayed far off course, was brought down by Soviet interceptors near Moneron Island in international waters due west of the south coast of Sakhalin and about 100km NNW of Cape Soya, with the loss of all 269 passengers on board, on September 1, 1983, in one of the tensest events of the late Cold War; you can read about it in copious detail here. 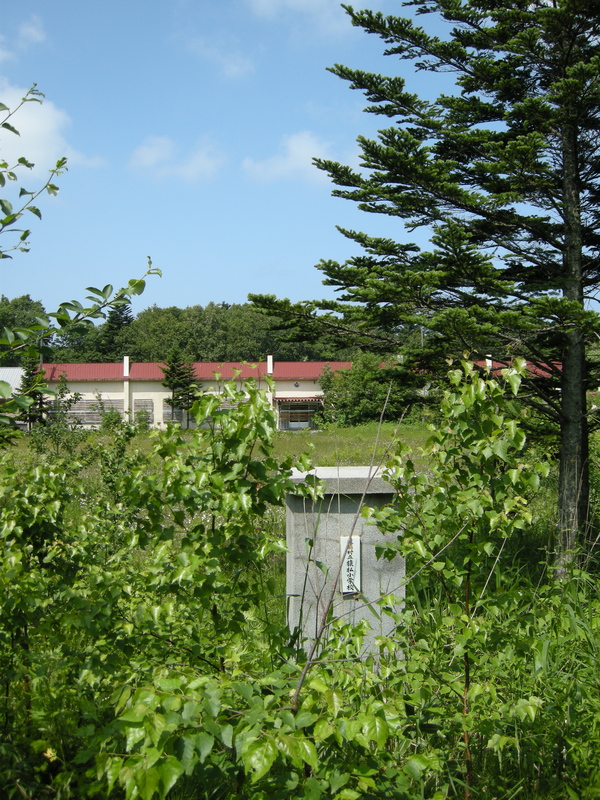 The cars in the Cape Soya parking lot bore plates revealing origins as far away as Tokyo, Chiba, Tochigi, Aichi, and Shiga; Cape Soya, unlike Cape Nosappu, was clearly a place of secular pilgrimage for ordinary citizens. The mercury was in the mid-teens but the offshore wind bit hard and a gaggle of bikers moaned of the cold. Even in high summer, today Cape Soya was not a place to linger long. 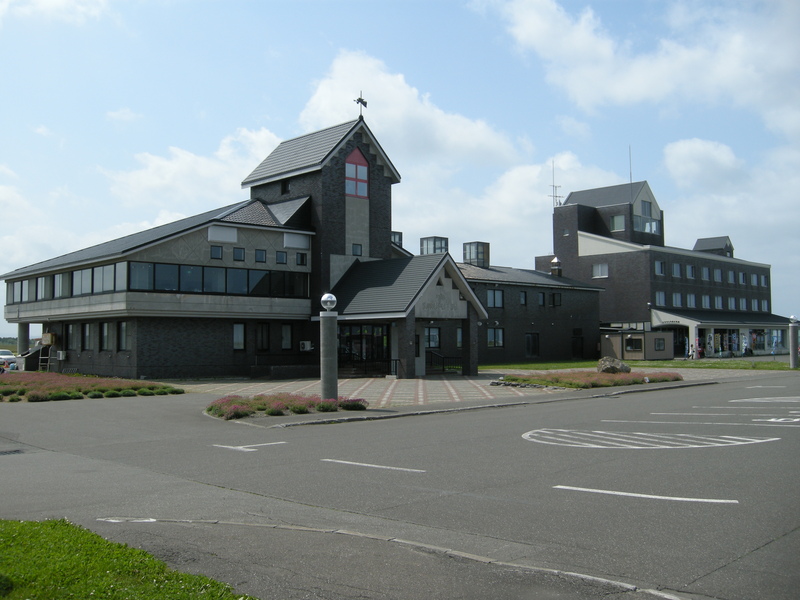 The axis of the journey pivoted south, and I headed into the center of Wakkanai, the capital of the Soya subprefecture, spending no more than an hour there running an errand or two. 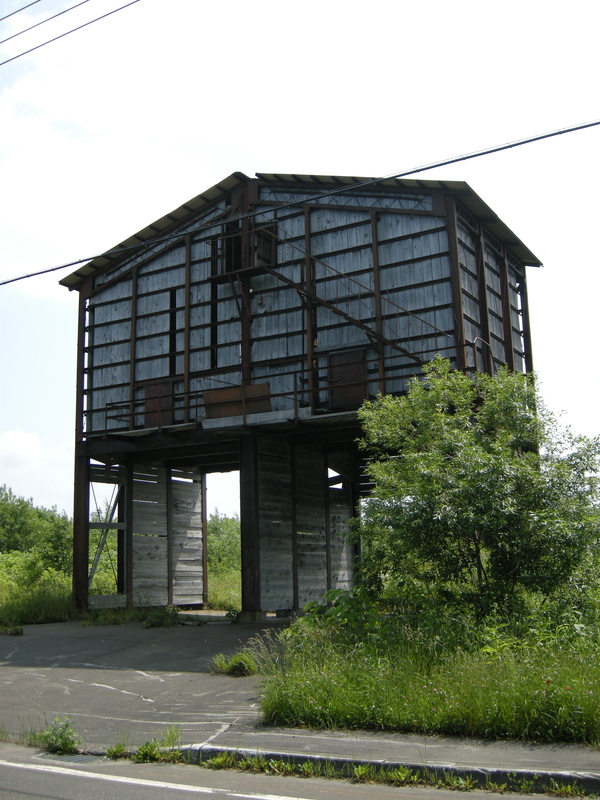 Although it struck me as no more or less blighted than any other place of its size on Hokkaido, the economy I learned later has been battered recently by restrictions placed by Russia on the export of live crabs, with importers going bankrupt or out of business at an alarming rate, and looking at the city’s demographic profile—not that aberrant—versus the rate of population decline—steep—people are obviously leaving the city in droves. 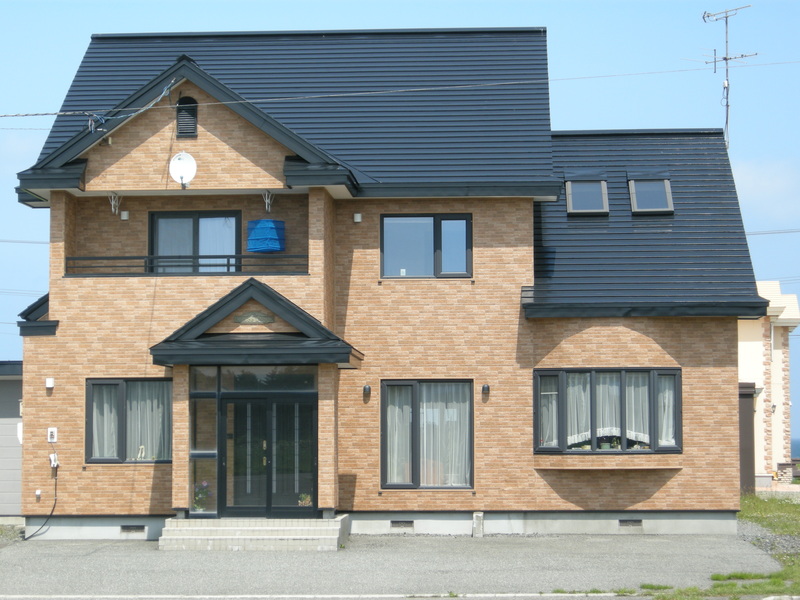 Rental accommodation is apparently more expensive than in Sapporo, while average wages are 20% or so lower, which cannot be much of an encouragement to stay. 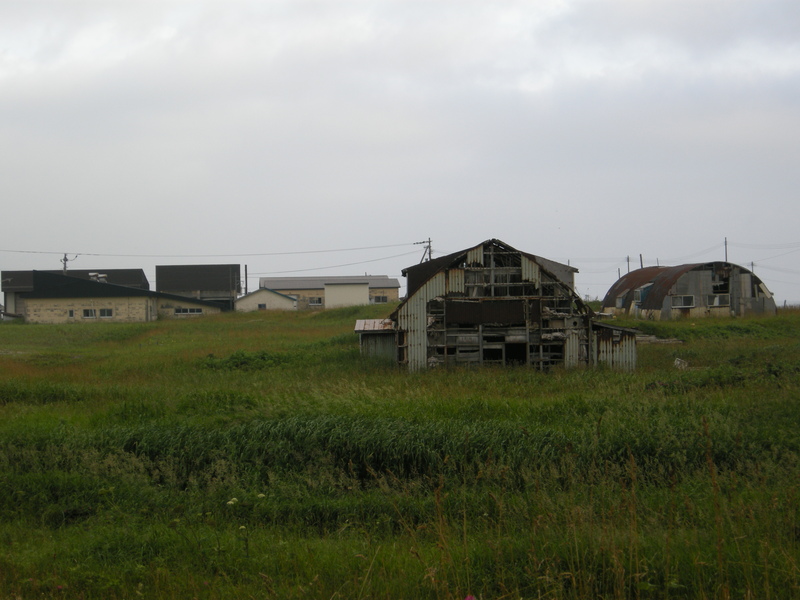 Wakkanai has also been whiplashed by the whims of tourism: Japan remains the land of the boom—however inconsequential—and of the ensuing bust, and in 2001-2002 it was all the rage to visit Japan’s outlying islands, which was all grist to Wakkanai’s mill, as it is the gateway to two of the most celebrated, Rebun and Rishiri. 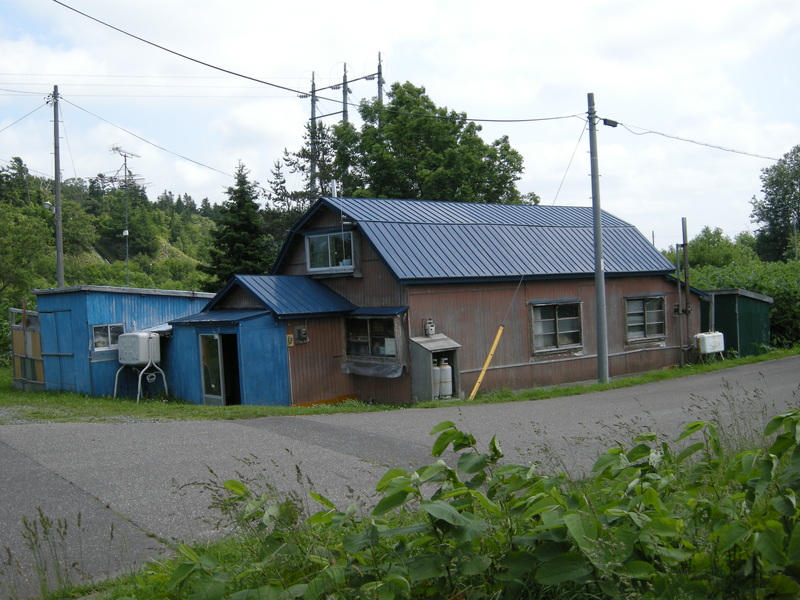 Tastes change, however, and many inbound tourists to Hokkaido were seduced by the designation in 2005 of the Shiretoko Peninsula as a World Heritage Site and then by the implausible success of Hokkaido’s Asahikawa Zoo, which now goes head-to-head with Tokyo’s Ueno for the crown of most popular zoo in the land, and the number of tourists passing through Wakkanai has more than halved in less than a decade. 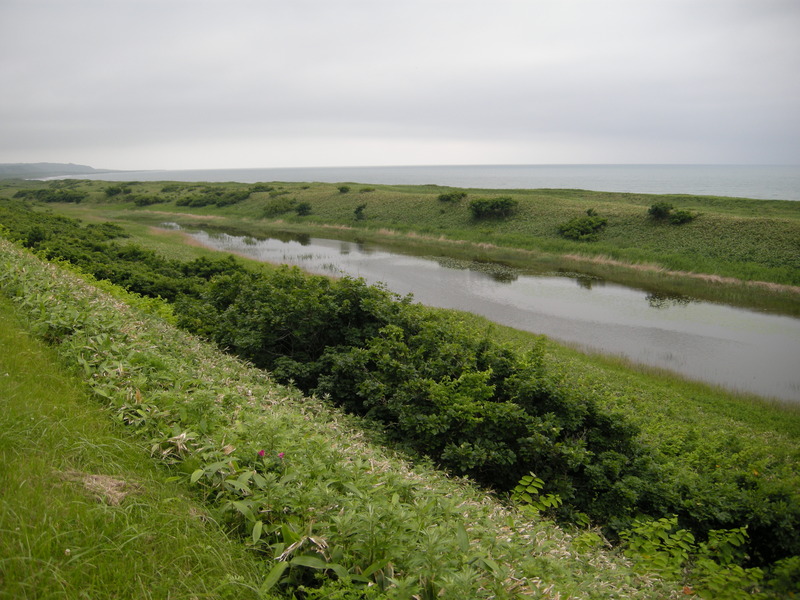 Heading out of Wakkanai to the southwest and now back along the Sea of Japan, all trace of the city soon fell away and I entered the precious environs of the mainland portion of the Rishiri-Rebun-Sarobetsu National Park. For some 30km-40km, the coast is as close to uninhabited and unspoilt as any anywhere in the world. 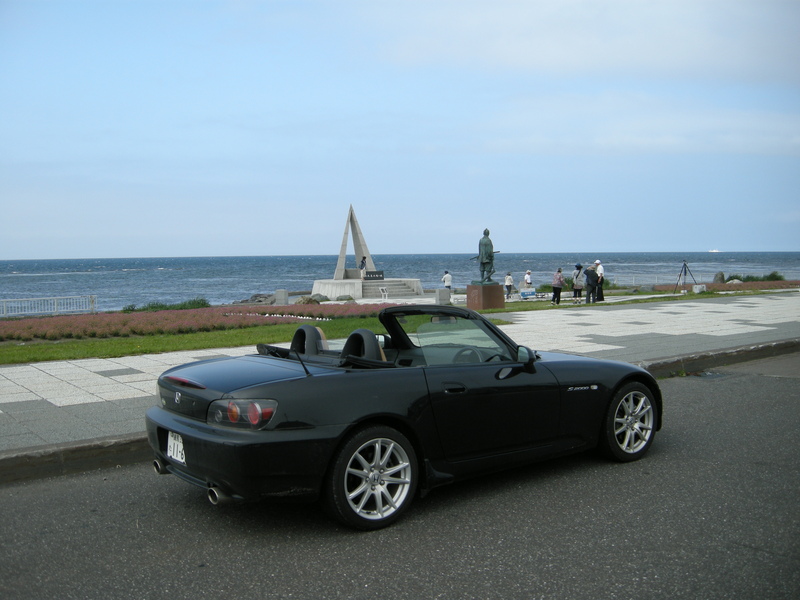 I was staggered; I didn’t think a shoreline this extensive and untramelled by development existed anywhere in Japan. I turned inland at the near-derelict harbor of Wakkasanai. 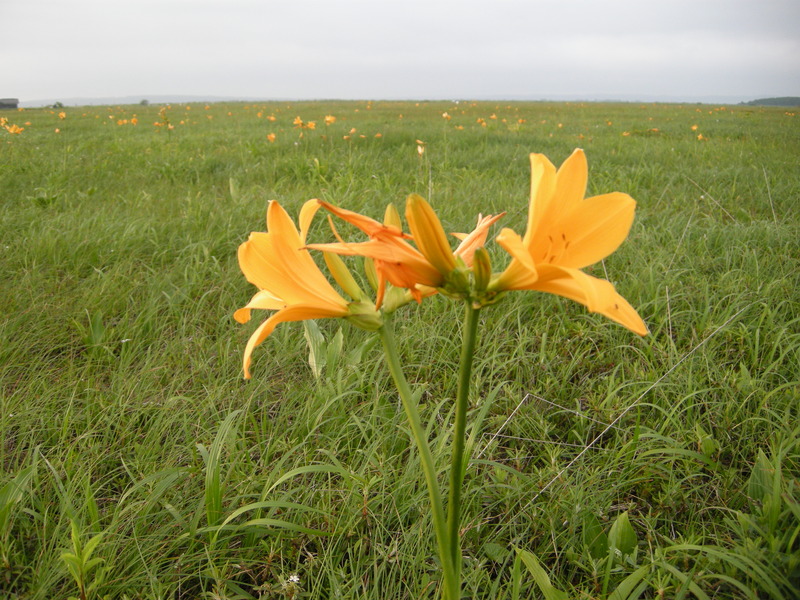 My destination was the Sarobetsu plain, where scads of showy Broad Dwarf Daylilies (also known as the Amur Daylily, Hemerocallis middendorffii) were aflower. As had so often been the case on the trip, the evening sky was shutting up shop and I had no shelter for the night. 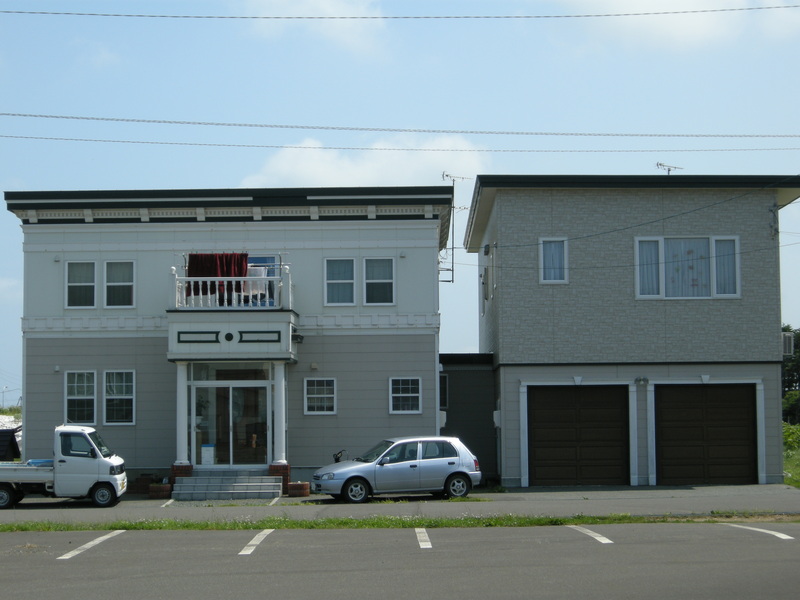 I headed further inland in the town of Toyotomi (1980 population 6,723, estimated 2009 population 4,537, projected 2035 population 2,895), which harbors Japan’s northernmost onsen resort. Strange place in the summer twilight, Toyotomi Onsen: a third of the hotels had gone out of business, while the remainder appeared to be hosting a yakuza convention, to judge from the burly tattooed men and their molls who barreled past me in assorted car parks. With no room at the resort’s inns, I was fast running out of options as dusk’s skirt descended. I had to head south, and fast, into the dismal badlands of the Rumoi subprefecture. I just stumbled on this now. I was the foreign English teacher at Sarufutsu a few years back, and it’s a safe bet those Scallop farmers keep the village flush. 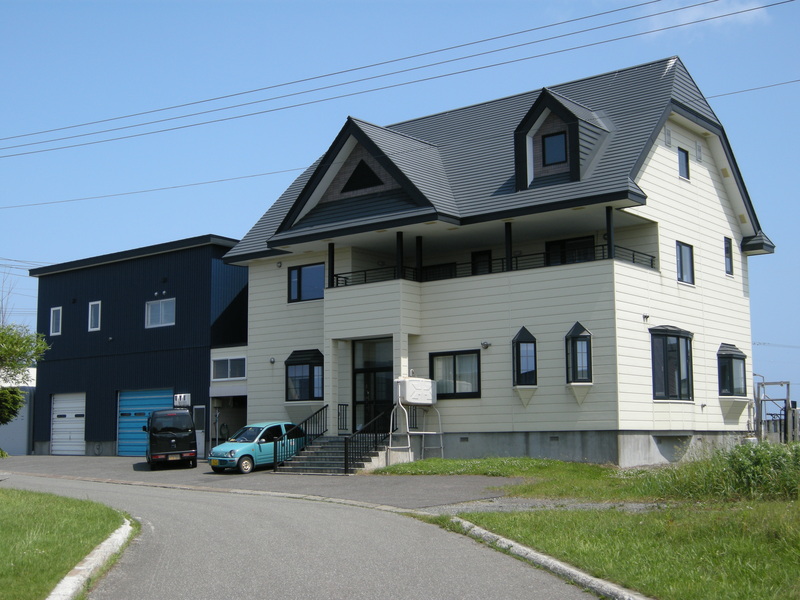 When I first heard I was going to live in Sarufutsu for a year, I never would have thought I’d see fishermen coming to the store to buy milk in brand new Nissan Skylines and giant stationwagons. It’s an incredible place, and most fantastic to be able to live there for a bit! It is indeed an odd place. While the scallops funded its past, it might be the taimen that keeps it alive. The Sarafutsu is one of the few rivers in the world where you can catch sea-run taimen (itoh), a large salmonid that grows to 1.5m or so and is a very popular recreational angling fish. I went up last year with some Japanese friends to go fly fishing for these magnificent fish (all catch and release) and it has great potential as a sport fishery. Our friend who guides on this river is trying to convince locals of the economic potential of regulating the fishery and promoting catch and release fly fishing to gaijin and Japanese anglers. Mongolia or Russia are your other options for taimen, but in terms of convenience and cost, Hokkaido wins hands down. Amazingly (for Japan), my guide friend says the paper company that owns the forests in the headwaters of the river has agreed not to log them to help conserve itoh spawning areas. Thank you for that. Did you catch Winifred Bird’s ariticle on Sarufutsu in the Japan Times 18 months or so ago? She tells much the same story that you do. 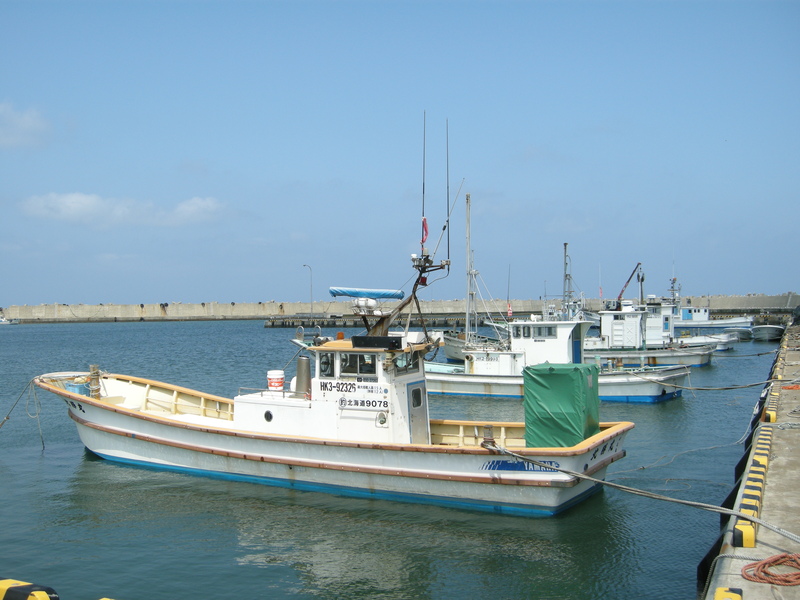 Have to say I love that Okhotsk coast and felt strangely attracted to Sarufutsu in particular–but it was July. 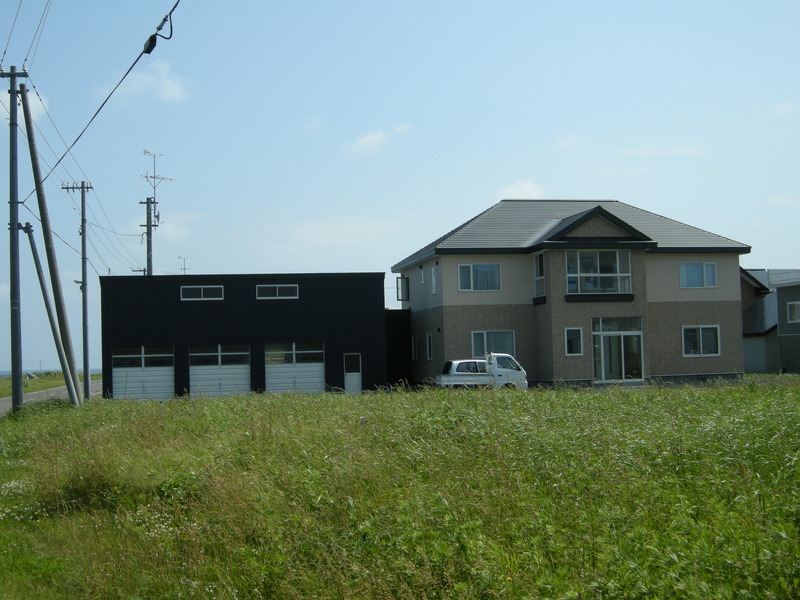 Outskirt doesn’t mean undeveloped area in Japan. 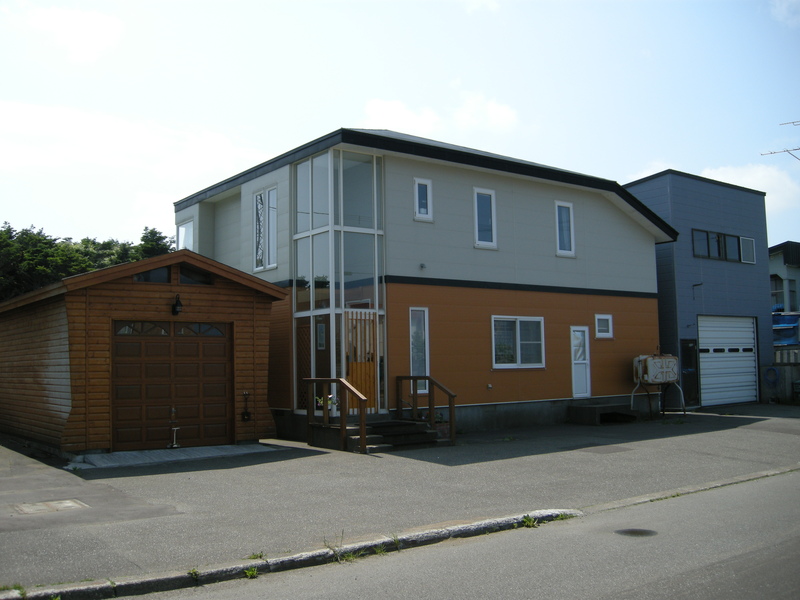 However, Some of houses in suburb of Hokkaido (or maybe others) have a nice, simple, but minimalist architecture as I saw my last trip to Hokkaido. And this article show me more from your pics above. 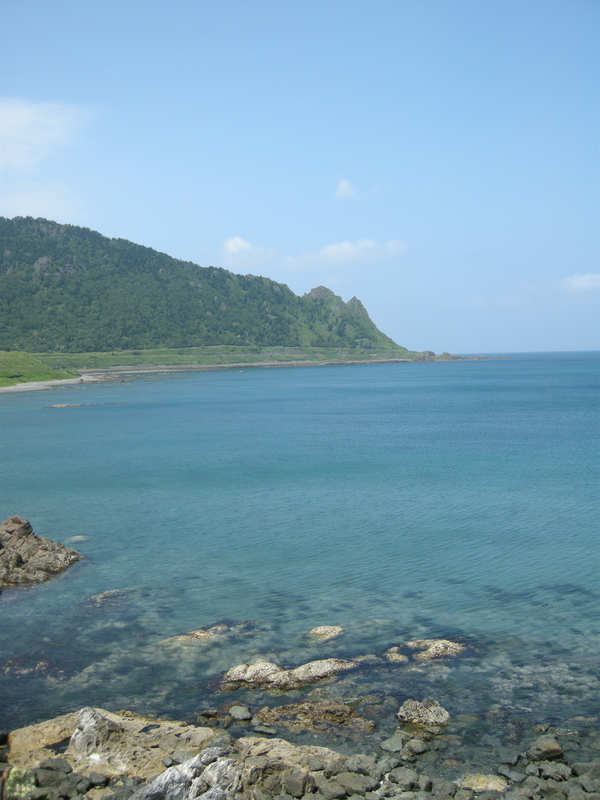 I do enjoy read this story as you roamed around the tip of Japan (Cape Soya). What a breathtaking journey you had, pal!